31stof March! just in time…. You probably have already seen some previews on my Instagram. I finished the macaroon blanket last week, but I have been so busy trying to finalise the last details of the ” secret project” plus I had a few deadlines at work . However, I am now finally sitting down, writing the recipe for the macaroons blanket, so you can all make one for yourselves! Firstly let me tell you, it will take a degree of patience! 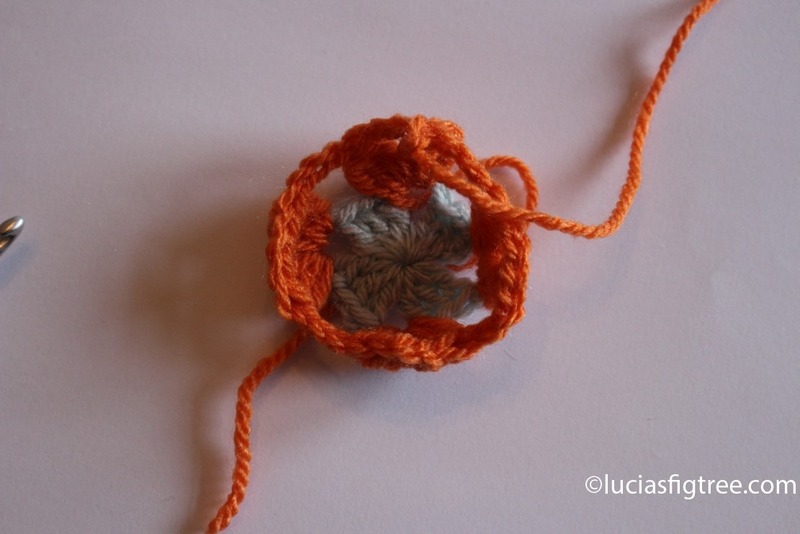 The squares are very easy to make but there are 280 of them! Saying that… I actually really enjoyed the journey and seeing all of these little bundles of colours growing in my basket… a bit of frustation at times with the ends to be sewn in BUT it will be worth it in the end as the blanket came out really beautiful !! Like baking, it is with no doubt, a labour of love. 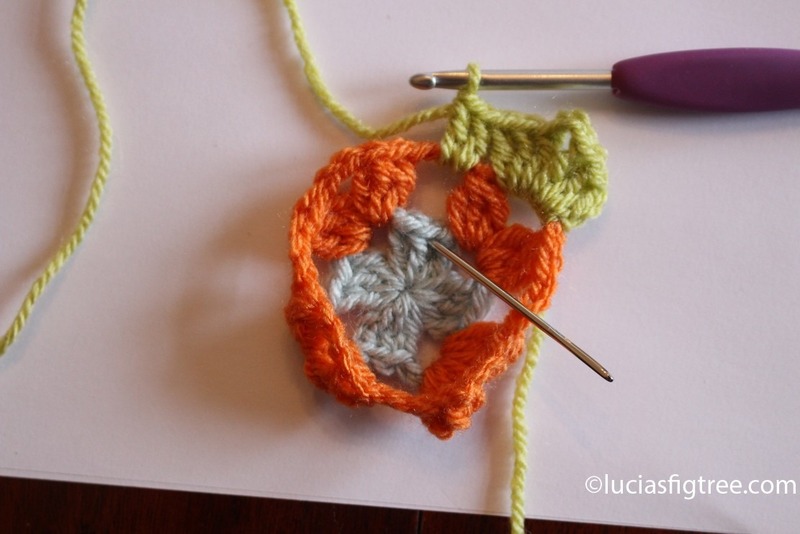 If I can make a suggestion, as often happens to me with any granny square blanket, I find it much easier to make it if the project is running along side with something else, and most important, sew in your ends as you go! or it will be a nightmare! 3 ch( makes the first treble),2 trebles, *3 ch, 3 trebles* repeat ** 2 more times., ss on the 3chs ( which act as your first treble) and fasten off. please note as from the photos your squares will curl! do not worry as the final round will straighten down the square. Start a new colour in any 3 chs space between 2 clusters and work the angle as follow:* 3 chs ( act as 1st treble) 2 trebles, 3chs, 3trebles. one ball for each of the shades EXCEPT for the PISTACHIO where you will need three balls in total. 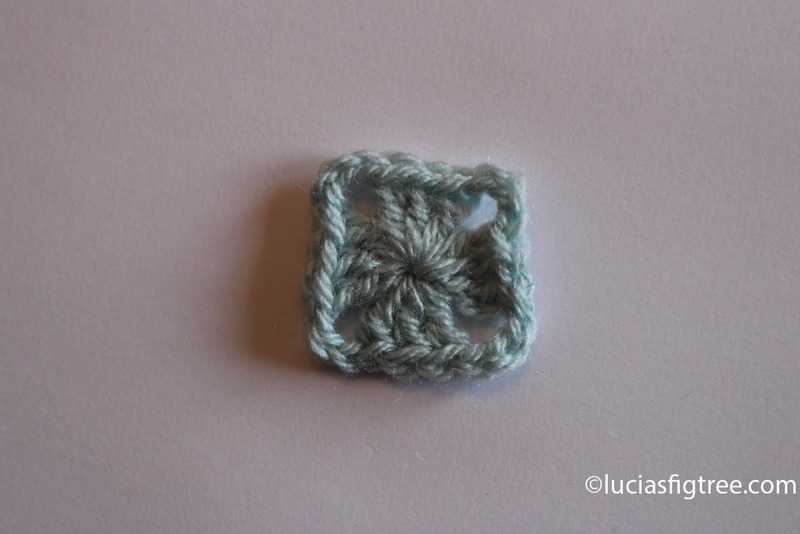 the squares are 280, they measure 7,5 cm and are organised in 14 columns of 20 squares each.the border is 15 cm deep. The joining method is a simple row of dcs . I changed colours every time , that has made a lovely “multicolours grid” effect, which makes the blanket interesting both sides!. 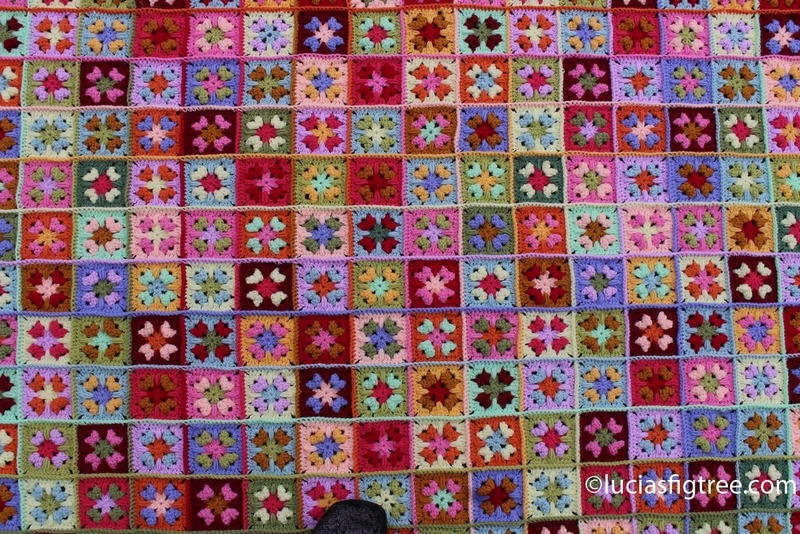 the all blanket is 120×180 in total and the border is 15 cm deep. the border is an adaptation of border number 72 from the new Edie Eckman’s book : ‘every which way crochet border.’ I said an adaptation because I repeated round 1 and 2 several times to make the border more substantial, and as consequence, I had to change the corners too, as I like my borders to be perfectly flat. I know it is a nuisance but I can’t post even a partial picture of Edie’s border as that would infringe the copyrights . all I am saying just look at the closeups, or use another border that is a multiple of 10 stitches. 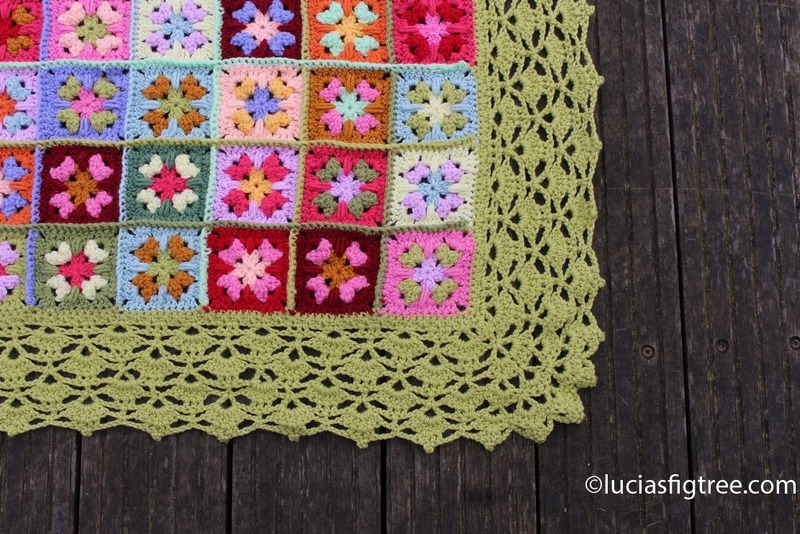 I hope you will enjoy making the macaroon blanket and thank you for all the lovely likes and messages I received! 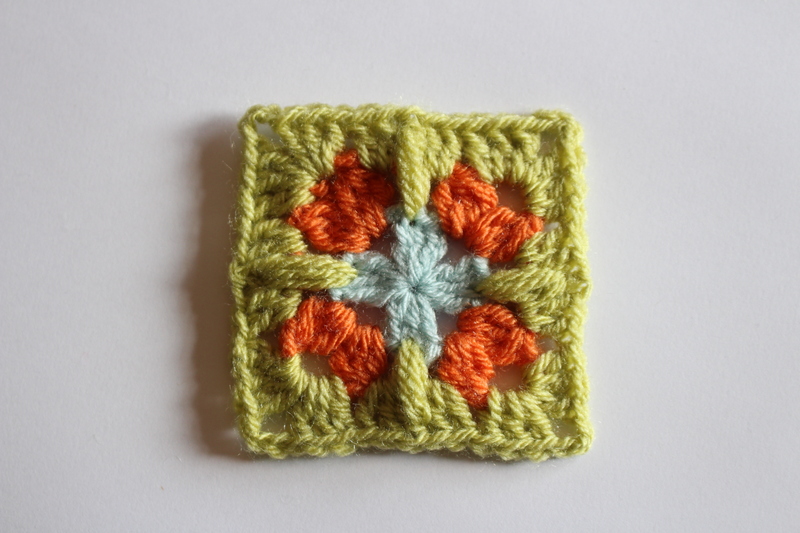 I am so in love with your granny pattern … I was terribly impatient until you actually disclosed the instructions above. Thank you a million for your generosity to let us use it for free! Absolutely gorgeous. Thank you for sharing with us. Hello – this is lovely. 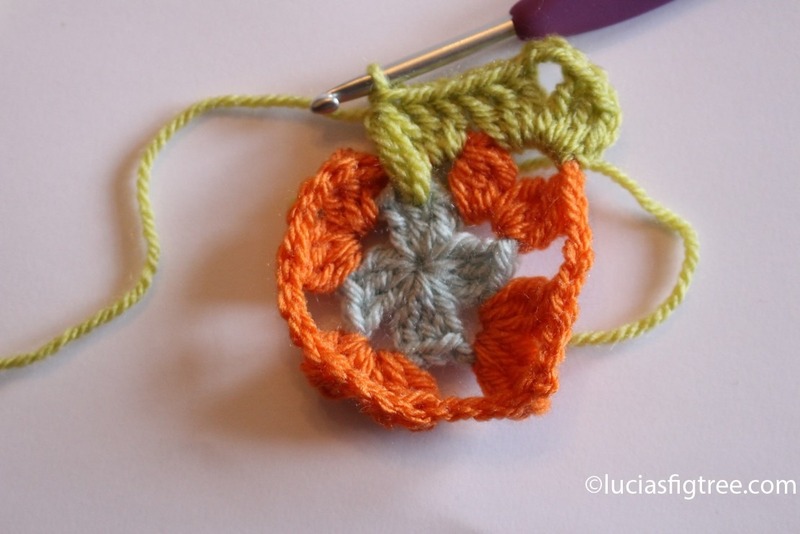 I do enjoy granny squares What is a puff stitch on that lady round? Please. Thank you Jen!! you never know exactly what the blanket will look like until it is all done. I love the process to build it one square at a time and then the border to finish up.It is a LOT of work, but it is a fabulous way to unwind and relax ( well relax once you have figured out what you are doing!! ) said that my blankets are never as complicated and detailed as yours!! Your projects are getting bigger and bigger! 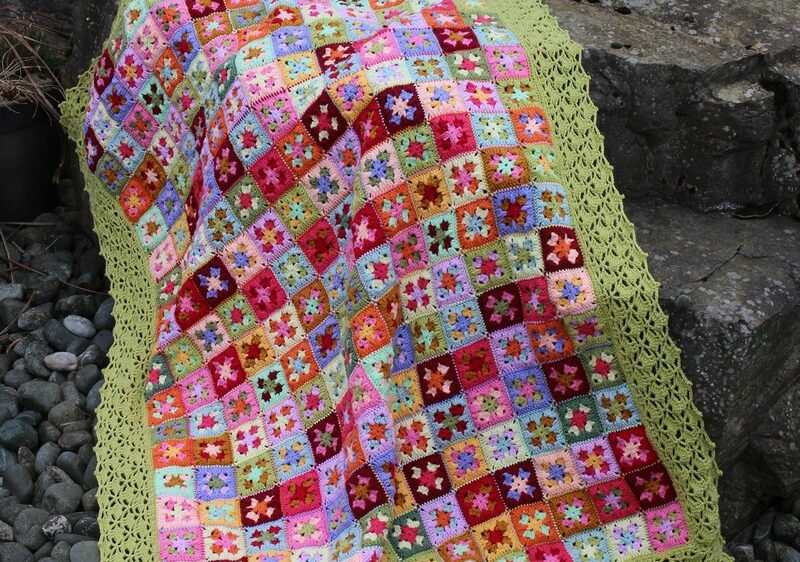 This is stunning, I love the colourfulness, I may have to make one! Hi Stephanie, the squares are organised in 14 rows and 20 columns. I stack up every row and number the pile. I start from the bottom left corner square. That square will be the base of the row1 pile; then I proceed from left to right stacking up the squares. So the bottom right corner square of the blanket is the top of pile 1. Then I stack up row 2 again starting from the left edge towards the right. When I got all the pile ( in this case there are 20 of them), I m ready to join in. 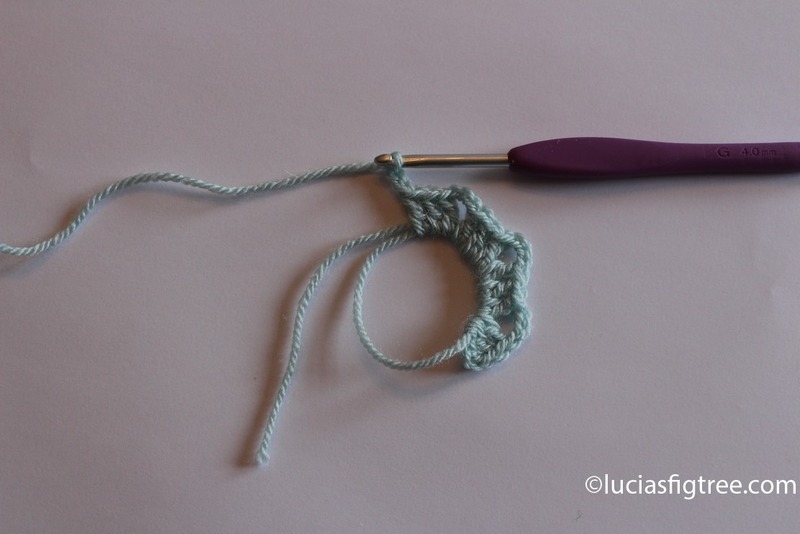 I pick up the first square on pile 1 and start to crochet together, with a double crochet stitch, with the first square of pile 2 . my joining line of DCS is from right to left. When you have finished to joining row1 to row2, I proceed in the same fashion adding row3 to row 2 1 square at a time. When I finish connecting all the different pile horizontally, I turn the blanket 90 degrees, and I start to stitch the vertical gaps, again crocheting the dc changing colour for each column. weare still working from right to left along the column . Now last bit…it is up to you to decide if you want the ridge on the right side of the blanket or on the wrong side. The squares are nice both sides, so it is very much a preference, I made the ridge in the ‘wrong’ side of the blanket, but I then find out that it is pretty much interchangeable. And doesn’t feel like that the blanket has a right and a wrong side. Ok, best way is to use the close up with the border which is the last picture on the post: so 1st row 1 st square on the right is fondant the square directly above the 2 row is clematis then still second row, 3 square from the right it is clematis. basically, all the fondant is the brighter hue, and the clematis is the pale purple. Remember that there is just only another purple and that is the lavender ( 3rd row from right to left 5th square) so you should be able to spot the clematis. hope it helps, and, please do not worry about it, it might take me a day or 2 to answer, but if there is anything else I can help with, just get in touch. Hello Lucia. Please could you tell me where the puff stitch starts in round 3. Is it in the top Stitch of the middle treble of round 1, or around the post of the treble? Mine seems to be pulling in a little, so my square isn’t square. 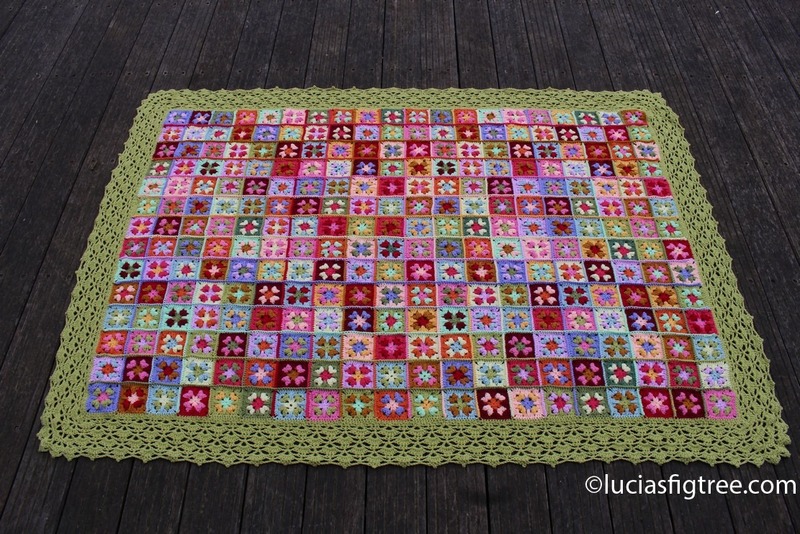 Hi Lucia I’ve ordered the wool for this lovely blanket, it’s my next project. Did you plan the colours in each granny or did you pick at random?